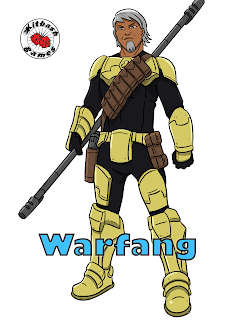 Warfang is HISS' primary enforcer. Ex-Mexican special forces operative Miguel Santos drifted through a variety of close protection jobs. When a HISS hit-squad attacked the Cartel member he was guarding, Miguel was badly injured. HISS science brought him back from the brink and the shadowy organisation offered him a new purpose which Miguel accepted without hesitation. Warfang typically operates alongside a cadre of HISS troops, and he relishes every chance to go to to toe with a super. 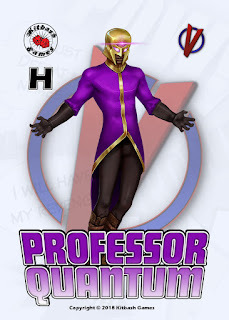 While he is no 'true believer', he is loyal to HISS as they have given him a direction missing since his days in the military, and they have the perfect superhuman living weapon.